All software is licensed under the GNU GENERAL PUBLIC LICENSE version 3. Lifetime licenses are no longer offered. Nevertheless, all owners of a lifetime license will keep their privileges. * support does not include specific requests for software changes or feature additions. However, requested features that are estimated can benefit the whole community and improve the extension(s) will be added at no cost. You have 30 days following the purchase to try out the product and make sure that it fits your needs. If for any reason, you are not satisfied, the full amount will be refunded to you. However, please explain your decision in order for us to understand what is wrong or missing in our software and help us improve it. Get a 20% discount when renewing your license before the current one expires. The automatic discount calculations are now in place. Get a free one year license to a commercial extension by translating a free extension that has not been translated into your language yet. If you already own a commercial software license, we will extend your license for one year if you translate that licensed software. Decisions are usually made on a case-by-case basis, so please ask first. This will ensure no one is already translating the language you want to provide. Note: Translations are managed at Transifex. Due to an increase in spam and the amount of support requests, we can no longer offer free support for our free extensions and templates. 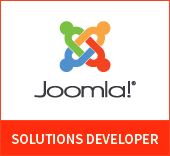 Your contributions also help fund future developments and guarantee that we can keep providing the Joomla! community with free quality software. Please consider purchasing a basic membership. Without your help, these extensions would not exist. Donations are welcome and no matter how big or small your contribution is, it will help future developments. We are immensely grateful and we take it as a token of your appreciation for what we do. Thank you! Downloads and purchase of extensions can only be done from this site or the official Joomla! Extensions Directory.